After collecting sawflies in tent-like Malaise traps or hanging funnel traps, Dr. Michael Skvarla sent the specimens to retired sawfly expert Dr. David Smith for identification. In total, 47 species were collected, 30 of which had not been found in Arkansas before. While many of the species are widespread in eastern North America, eight species were known only from areas hundreds of kilometers away. “I knew that many insect groups had not yet been surveyed in Arkansas, but I was surprised that 66% of the sawfly species we found were new to the state,” Skvarla says. 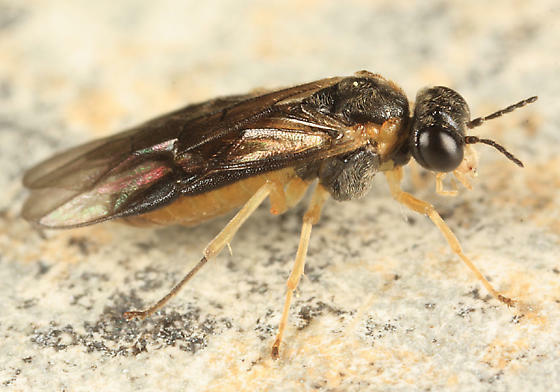 Sawflies and wood wasps comprise the wasp suborder Symphyta and derive their common names from the serrated or saw-shaped ovipositor many species use to lay eggs into plant tissue, and because some species bore into wood. 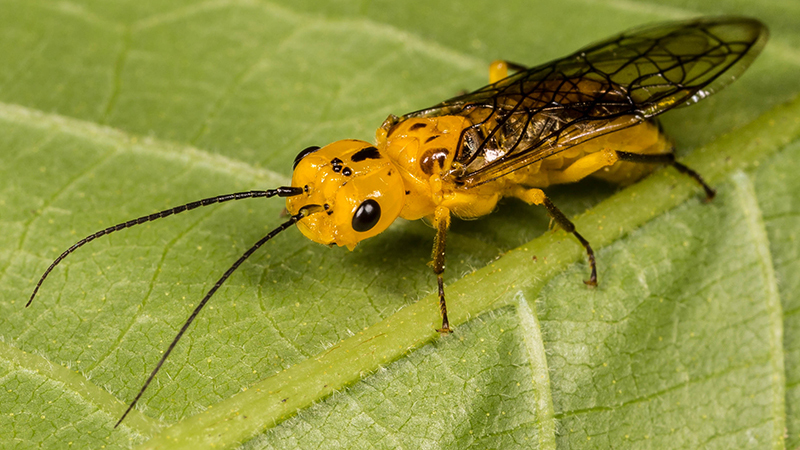 While some sawfly and woodwasp species can be pests on crops or ornamental plants, most do not pose an economic concern, and all are harmless to people.